Katie is an outdoor cat that lives along the beach-front walking path in Manhattan Beach, where we often go for an evening walk. She loves to come say hello whenever we pass by. 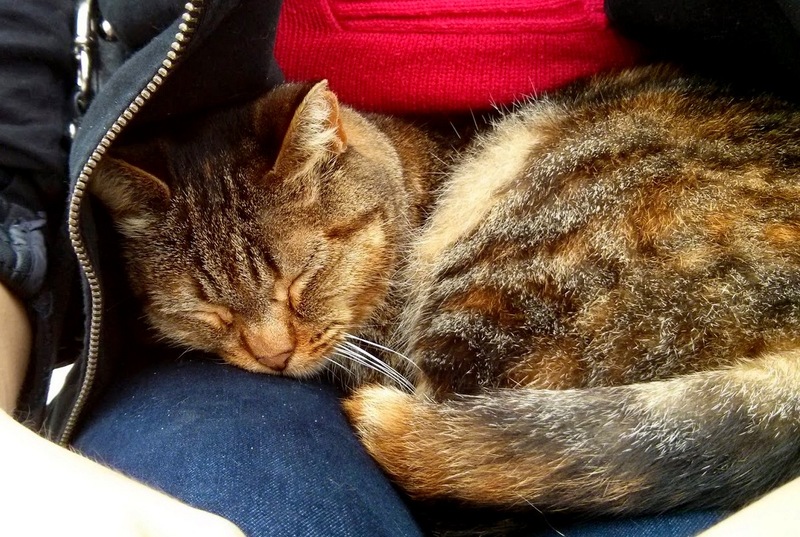 This was a particularly cold day so Katie hopped onto my girlfriend’s lap and took a nice warm nap. I think we sat on the curb for almost 30 minutes. She was too precious to wake up. Posted in PhotographyTagged Beach Cat, Katie the Cat, Manhattan BeachBookmark the permalink.